Reverb is simple enough, right? Then why do some mixes sound washed out or thin? Often times it is due to the misuse of reverb. 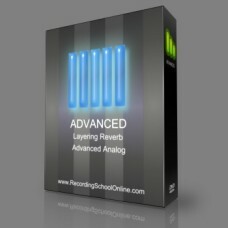 Digital reverb is an awesome effect, when used correctly. What sounds good on a single instrument may not sound good in the final mix. There is an art to mixing with digital reverb, if you are only using presets then it is time to go deeper. We focus in great detail how not only to use digital reverb, but also design digital reverb specifically for your mix and music. We examine all types of reverbs and where they are best implemented for radio friendly mixing. We also look at and test a number of different reverbs available to the professional recording engineer. This very special video also covers modern techniques for achieving the sound of analog in the digital studio.